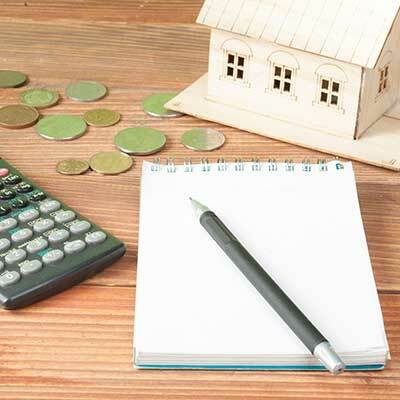 As you study any lender and the loans they offer, seven primary factors should be considered. These seven factors are in the order of importance that we see most commonly with commercial or rental residential loans, which is quite different than what would be stressed for a personal residence loan. For example, for primary homes loans, there is little differentiation among lenders and interest rate is the primary decision point. The loan-to-value ratio—often abbreviated “LTV” in the lending world—is the single most widely used measure of riskiness of the loan for lenders. The value measures the outstanding balance (or proposed loan size) relative to the property value. Thus, a $50,000 loan against a $100,000 property has an LTV of 50% ($50,000/$100,000). The unknown in this is the “value” part of the equation. Without selling the property, it is impossible to know with certainty what the property is worth today, let alone what it might be worth if the lender is forced to foreclose on the property in the future. Stronghill, like most lenders, requires third-party professional appraisals for our loans. The price for such appraisals varies by city and property type, but generally single family houses cost $400-500 for an appraisal and commercial properties range from $1,500 to $5,000. Stronghill orders the appraisals as part of the loan process. Because the lender on an investment residential property often holds the loan itself and retains the full risk of the loan (uncommon for primary residence mortgage lenders) and because owners rarely put as much love into rental properties as into their own homes, lenders are rarely willing to accept LTVs above 70% for investment real estate loans. Stronghill has some products that go up to an 80% LTV, but most are a max of 70% LTV. Borrowers for investment properties most often want the LTV to be as high as possible to increase the amount able to be borrowed. While understandable, you should go in with realistic expectations. You will not receive 95% of the funds needed to purchase a property. A lender simply will not loan 70% of an appraised value if you are only paying 70% of the appraised value. That would be too much of a risk for the lender to carry. When working with any lender, try to put yourself in their shoes, and ask them to explain the risks they have with your deal. It should help you understand their business and their terms. Fully Amortizing: Monthly payments are always the same and are set such that all of the principal and interest are paid down by the end of the loan. Generally, the first payment is almost all interest, and by the end, the last payment is almost all principal. Interest-Only: Borrower pays only the interest each month. At maturity, the entire original loan remains outstanding and is repayable. Of standard loan structures, this one will have the lowest monthly payment. Most lenders are unwilling to make interest-only loans for more than two or three years because no principal has been paid down if the value of the property falls. Hybrid Loans: Hybrids have a fixed rate for a period of time, and then become adjustable rate loans after that time. A common hybrid term is a fixed rate for 5 years, and then the loan becomes an adjustable rate thereafter. The rate can adjust every year, or every so many years. Generally, there is a limit to how much higher the rate can go over time. Hybrid loan payments will change each time the rate adjusts. For many borrowers, they prefer to get the initial lower interest rate and corresponding lower payments at the beginning, in exchange for taking the risk they will have higher payments in the future. Balloon Payment at Maturity: Commercial property may have a term shorter than the amortization period. For instance, the loan may mature in 5 years, but have a 20 year amortization schedule. Such a loan would have a balance due at the maturation in five years. This final amount due is often called a “balloon payment”. Most home mortgages take 30 to 60 days. Commercial loans can take much longer, generally 90-120 days. All such loans require an appraisal by a licensed third-party appraiser. In hot real estate markets, it can take 30-45 days to get back a commercial appraisal. Single family home appraisals can generally be completed in 3 weeks. The appraisal is normally the one item that holds up closing the loan, and not much can be done about it. Normally, lenders require that they order the appraisal, not you, but that you pay for it upfront. Lenders such as Stronghill often have appraisers who can get their appraisals done more quickly because they send the appraisers so much business. Some lenders will accept appraisals done by an appraiser they don’t know, but don’t assume this to be the case for all lenders. One of our key values is “Fast Closes”. We’ve closed loans in as fast as 3 days. Ask about Stronghill’s “two funding” loan in which we fund some of your loan right away and before the appraisal comes back, and then the rest once we have the appraisal. Once the loan is funded, your loan goes into a servicing mode. You will make payments every month that will be received by the servicer and credited to your account. Most lenders either sell off their loan or have another company service the loan. The outside servicer works for the lender and follows their servicing instructions. Some lenders are lenient about late or missed payments and others are not. If your loan is serviced by your lender, then they are normally more lenient since they have the direct authority to make exceptions and work with the borrower. Stronghill Capital is a lender that actually services our loans. We have serviced over 10,000 loans and have an A+ rating with the Better Business Bureau. Loans have either a fixed rate or a variable rate. A fixed rate loan remains the same over the term of the loan. A variable rate loan can change and is tied to an interest rate benchmark such as the Prime Rate, the Fed Funds Rate or the LIBOR rate. One of the most popular loans available now is called a Hybrid Loan which combines both a fixed rate and variable rate loan. Generally, the loan is fixed at the beginning for X years, and then becomes variable after that. Pure variable rate loans are called Adjustable Rate Mortgages or “ARMs”. ARMs adjust at prespecified times; some are quarterly, others are annual, others are every X years. Most ARMs and Hybrids have a maximum amount the rate can change in one year, and a maximum amount they can change over the life of the loan. The advantage of a variable rate mortgage is that you get a lower initial interest rate and therefore lower payments. Lenders look at a number of items to determine what interest rate they charge including loan-to-value, debt service coverage ratio (DSCR), borrower credit quality, type of property, occupancy rate, cash flows, size of the city, and uniqueness of the property. Lenders have several costs in originating your loan. Internal valuation, document preparation, client review, title review, environmental review, and the loan officer’s time spent with the client all take money. In addition, most all lenders make some addition profit at the time of origination because it is unclear how long a loan will last. (Small prepayment penalties are common for the same reason.) These closing costs, which normally range from a couple percent to five percent, depend on the size and complexity of the loan. If multiple loan brokers were involved in the sourcing of the loan, they may rise even higher. While these costs often sound high, consider that they are often equivalent to only a few months of interest. Most lenders are willing to flex these closing costs up or down in exchange for lowering or raising the interest rate (or prepayment penalties). Most lenders have well defined loan programs that only cover certain scenarios. For instance, the most desired loan is to a non-self-employed person with a FICO score over 800, who owns a rental house, with no mortgage, in a big market, with a long-term tenant, and who only wants to borrow 40% of the property’s value. If that’s you, you can go to any bank, credit union, or online lender and get a good loan. If that’s not you, then your options get smaller as you get farther away from the ideal loan. Landlords and commercial property owners frequently have unique situations that don’t exactly fit a bank’s criteria. Our advice is to know what a lender is likely to have problems with about your scenario and address that right up front. You don’t want to spend a lot of time and possibly money only to find out that they deny your loan request at the last minute. Borrowers for investment and commercial properties have a lot more to consider than when taking home loans. We believe that speed, service, and flexibility matter much more to those borrowing on investment and commercial real estate. And we’ve structured our entire business around the belief that clients matter. Whether you do business with us or someone else, remember that you may be married to your lender for years. If you do not love them at the start, you are not likely to learn to love them in the future. And, if they do not provide the service level you want from the very first phone call, then they are not likely to try harder after you borrow money from them.